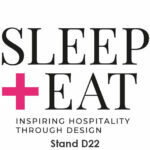 EBRU will be attending at Sleep + Eat for the first time this November in London. The Sleep + Eat event will take place from the 20. November till the 21th November in Olympia London. You will find EBRU for the 13th year in a row at Maison et Objet! As you may have heard there is exciting news: Maison et Objet has changed their whole setup, Bye Bye Routine, Hello Surprise! 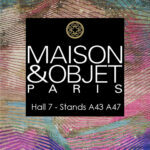 the latest amazing designs and new Palazzo arrivals during this September edition of Maison et Objet in Paris. Visit EBRU during Maison et Objet and discover 39 years of passion for the branch, you will see the most innovative, handmade carpets and accessories that havebeen developed for you by EBRU. Pioneering materials, progressive designs and challenging colours make sure that EBRU will continue to surprise you in the future. Stay tuned on our social media and new Website for the latest news about carpet releases, new collections and of course all the latest EBRU news. Join us at Facebook, Twitter, Instagram or Pinterest and stay up to date. 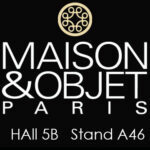 Hope to see you at Maison et Objet! Our Main Office in the Netherlands will be closed from the 23th till the 27th of July due to Summer Holidays. For urgent matters please send your e-mail to info@ebru.nl. 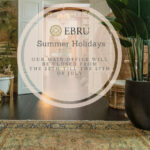 Team EBRU wishes you a great Summer! 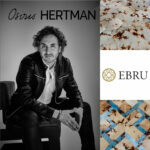 Osiris Hertman has designed 2 exclusive Cowhide Rugs for EBRU that have finished with the Tye Dye technique. The beautiful patterns show a clear Osiris signature and make a wonderful match with EBRU’s well known quality. There were so many beautiful designs created during the creative process that we have decided to not launch 1 but 2 collections within this collaboration. The second collection will be launched later this Year and consists of 3 hand knotted Osiris Design Rugs made out of the finest Silk and Wool. More about that later this month…. Visit the EBRU Showroom during the Consumer Inspiration Day at the ETC Design Center Europe. We would like to welcome you Sunday, May 27th from 10.00 to 17.00 in our Stand on the ground floor 103/104. 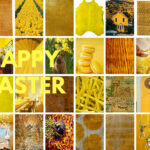 Team EBRU wishes everybody a Happy Easter and a lovely long weekend with friends and family. Our Showroom at ETC Designcenter Europe in Culemborg and our Main office in the Netherlands will be closed at Monday the 2th of April. We are looking forward to help you again on Tuesday the 3th of April. 13 years in a row EBRU at Maison et Objet! 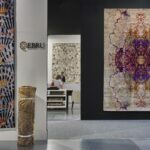 Visit EBRU during Maison et Objet and discover 38 years of passion for the branch, you will see the most innovative, handmade rugs that have been developed for you by EBRU. Pioneering materials, progressive designs and challenging colours make sure that EBRU will continue to surprise you in the future. EBRU will be presenting an exclusive selection of unique Palazzo Rugs during Domotex in January. All EBRU Palazzo Rugs are made from original Kerman Rugs from the 50’s and 60’s. 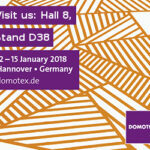 Discover our outstanding quality and craftmanship during Domotex in Hall 008 at Stand D38. Please send us an e-mail at info@ebru.nl for your free entrance cards.